We all know it but don't have the patience and dedication to follow a particular diet plan for losing those extra pounds put up because of irregular and unhealthy diet plan. This app is a perfect blend of tips and recipes that will help you know about the nutrional levels of every healthy food. There are a lot of fat-burning foodsin your kitchen but unfortunately, you may not know which one of them are they. 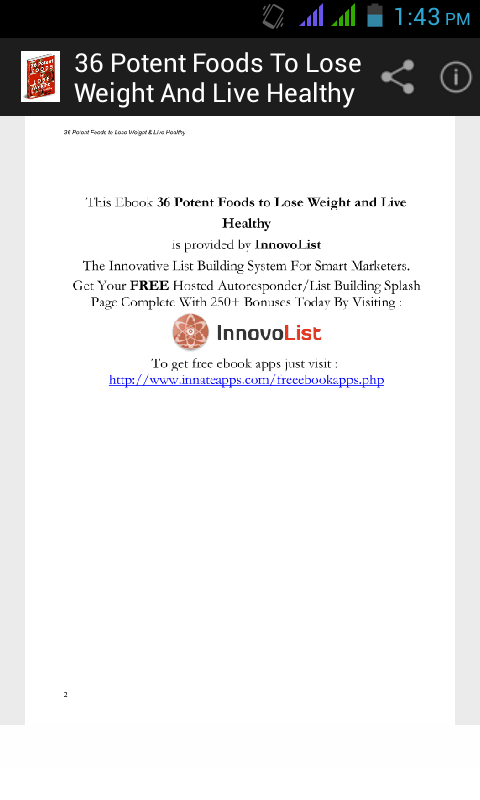 This ebook app will give a clear explanation of why eating this or that food item can actually help you lose weight. 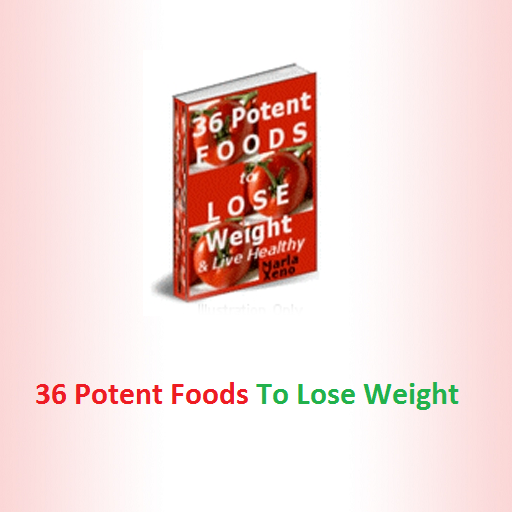 There is a total 36 potent foods list that are fat-burning and less in calories. Because you are what you eat, it is therefore important to follow a healthy diet plan. 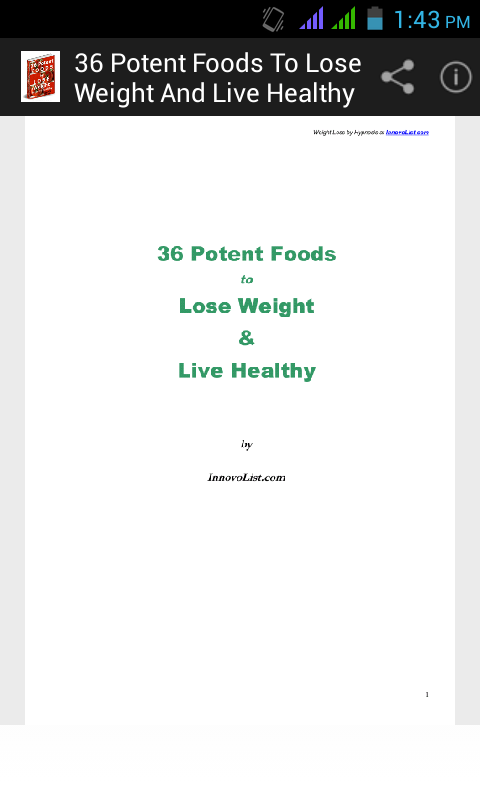 Now you can easily enjoy the benefits of eating to boost your metabolism with 36 potent foods to lose weight and live healthy, your secret companion to a healthy bikini body. By regularly visiting this app, you become more concious about what is good for your health and what not. Not only this but you can also keep in check with a variety of low calorie meal recipes that can be easily cooked in your kitchen. To help you become the new you, this app provides an informative food list as well to ensure that you make smart choices on the healthy living diet. 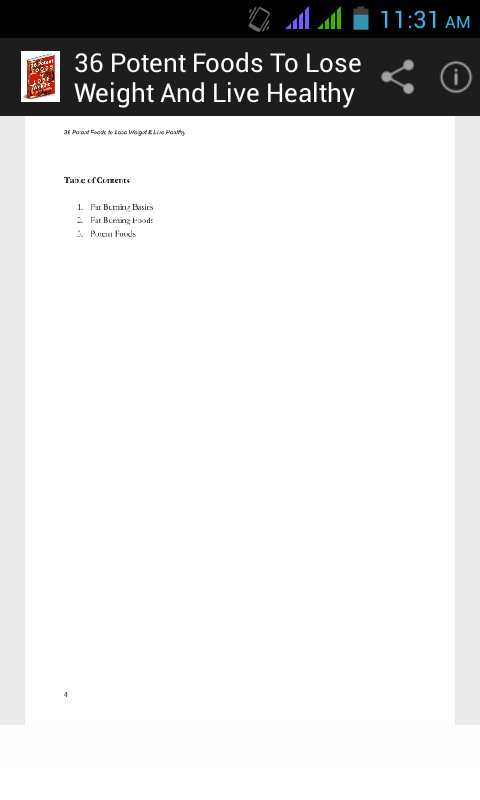 So, if you want to burn the extra kilos without spending months in the gym paying a whopping membership fee from your hard earned money, give this app ebook a try now and start seeing the results in a week. 1. Fat Burning Basics : If you’re overweight, you are not a bad person. You’re simply overweight. But it’s important to lose the extra pounds so you’ll look good, feel healthier and develop a sense of pride and self-esteem. Once you’ve lost the fat, you’ll need to maintain your weight.